Brandi D. has been absent from the music scene since her popular girl group Blaque split ways in 2004. She is now preparing for a solo career and wants the world to know sheâ€™s back and better than ever. We exclusively spoke with Brandi about her future and what we should expect to see from her as a solo artist. Check inside for our full interview. We last saw you with the popular girl group Blaque, your fans want to know what have you been up to since then? Well since the beginning of this year Iâ€™ve been focusing on my solo project, recording a lot and combining great songs and working with producers to make a great album. So who have you been working with? Iâ€™ve been working with new school producers as well as some seasoned producers. You also founded your own production company titled Tune Town Productions. That company was years ago and has since dissolved but I started a new company called Brand It Music which my project will come off of. I always wanted my own production company because Iâ€™m interested in having other artists as well. So it made sense to start my own company and have control over my own project and to help produce other artists. I donâ€™t think a lot people realize how many celebrities you have in your family. I did my research and I wasnâ€™t even aware of some of the people. Smokey Robinson to name a fewâ€¦. So musically who inspired you growing up? Growing up I definitely have to say Janet Jackson. Iâ€™m a big fan and to this day I love her. I mean you canâ€™t help but to say Michael Jackson. With my family I was so lucky to tour at a young age with my aunt Cherrelle, she had hits in the 80s and 90s. She toured with New Edition so I was able to experience that when I was young. My father was also a part of a band where he sang and my grandfather is one of the Miracles so I was just so blessed to be surrounded by music coming up. What can fans expect from you as a solo artist that may be different from what we heard in Blaque? I want my Blaque fans to be able to get to know me outside the group and learn who Brandi D. is. Iâ€™m a grown woman that goes through grown woman issues and just understand that Iâ€™m definitely still apart of Blaque but I definitely want them to get to know me as me. My sound is a little more R&B than what Blaque was, but I still keep the pop edge with the up tempos. The ballads and the mids will just be a little more R&B. When will we be able to hear the new music? Right now you can hear my single â€œLove itâ€ on my website BrandiDmusic.com and download it. Itâ€™s going to be on iTunes soon and should definitely have radio play by the end of this month. The rest of the album should be out sometime next year. Are you working on collaborating with anyone for your album? Yes, weâ€™re working on doing something with Trina; weâ€™re also talking about doing a male duet. I want toÂ work with Shamari as well and I have a record with R. Kelly that should be coming out very soon. I definitely have some things in the works. Will there be a Blaque reunion? I would love it, of course there are two other members so I couldnâ€™t do it on my own but I would love for us to do something. I know the fans are looking for us to do something even if itâ€™s just one song or even an entire album. I would love for it to happen. How did the death of your mentor Left-Eye affect you musically? It affected me personally and professionally. Lisa was very influential in our career as a group. She basically took us to Tommy Mottolaâ€™s office up at Sony Music and got us our first deal and she was there with us throughout our entire recording process. She basically helped fight our battles when we needed something and then we all had our own personally relationships with her. Her death was devastating on both ends. Jeremih and Waleâ€™s new record. I love Jay Z and Kanyeâ€™s whole album, Iâ€™m a fan. I would love to work with Will. I. Am. I would love to even do something with Kanye and of course Jay Z would be amazing. I also would love to go outside the box and do something with Justin Timberlake and get a record with him, maybe we could do a duet. Whatâ€™s next for Brandi D.? Definitely finishing up recording. Weâ€™re going to put out a Christmas record for the holidays. I definitely want to get my acting skills together so we can do some more of that and just try to take the industry by storm. So next year is going to be great! We are waiting and we hope to hear your new music soon. Where your fans reach you now? My twitter is @TheBrandiD and my website is bradidmusic.com I have two facebook pages, one is TheRealBrandiD and the other is Brandi Williams (Brandi D.). Trust me when I say Blaque fans and new fans will definitely enjoy what Brandi D. plans to bring to the music industry. 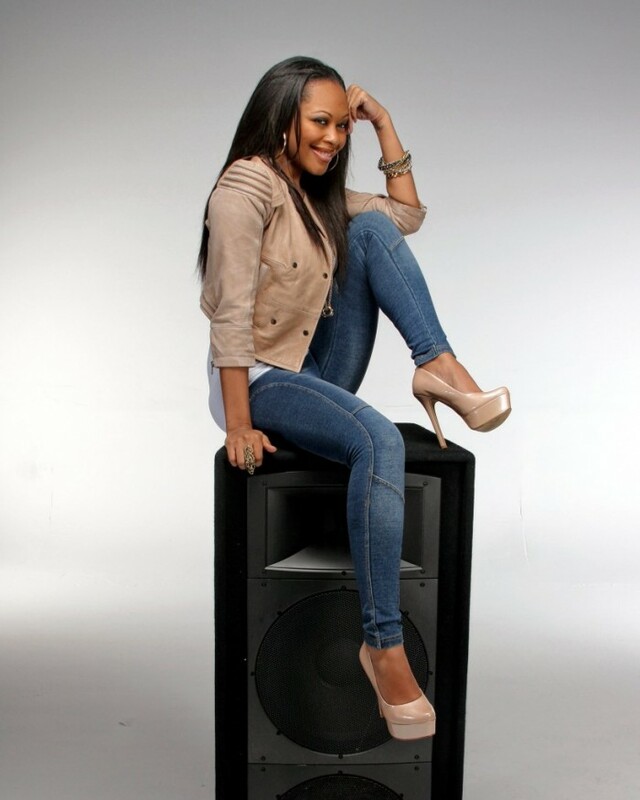 So please be on the lookout for her new music and visit brandimusic.com and download her new single “Love It”. Hit her on twitter and let her know what you think of the record. This interview was taken by Shante’ Williams, a 2011- 2012 intern for FreddyO. Brandi was such a sweet person to interview with and we talked like old friends. Like I said the new song is HOT so check it out.